A little birdie told me that this steam bun recipe from No-Frills Recipes by Cheah is really really really good! It is really really really true! 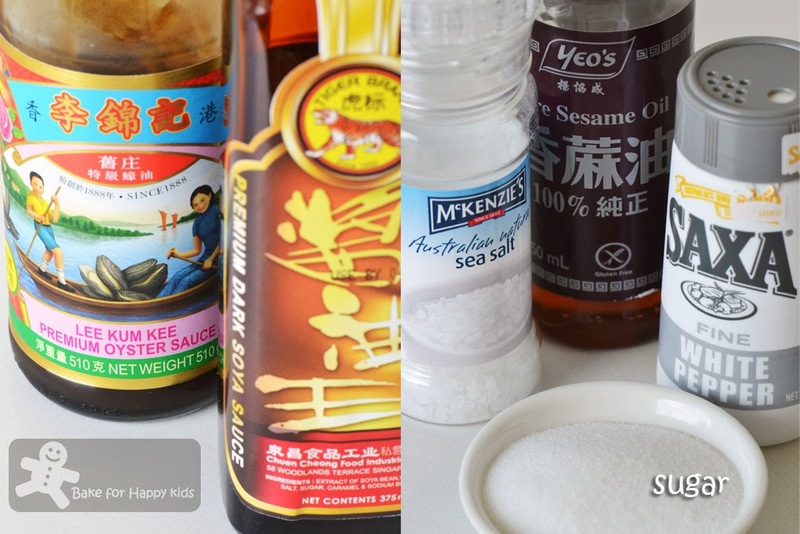 I have seen a few of my blogging friends (including Sonia from Nasi Lemak Lover and Kristy from My Little Space) who had tried this recipe and said that it is really good. 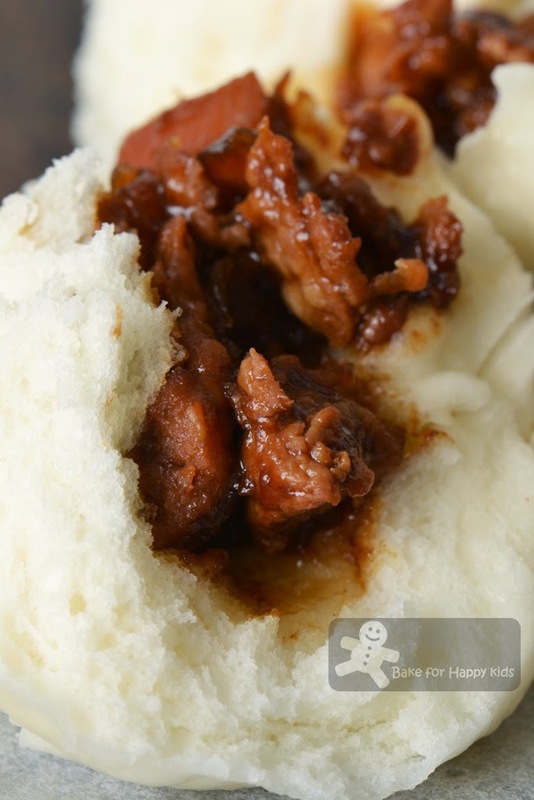 After using this recipe to make these very delicious chicken char siu bao / pau / steamed buns, I must say this is my another favourite Chinese steamed bun recipe now. Thanks Cheah for sharing such lovely recipe! Not to brag but these chicken char siu bao are truly as good as the professional made ones being fluffy white and smooth with nice saucy tender char siu filling. For an ultimate bao texture, I suggest not to substitute any of the bao ingredients including the SHORTENING! I know that I sounded severe saying this... Otherwise, this lovely bao texture can be compromised!!! According to Wikipedia, the original definition of shortening refer any fat that is solid at room temperature and used to make crumbly pastry, meaning that shortening can be lard, butter or even margarine. Since the invention of hydrogenated vegetable oil in the early 20th century, the word "shortening" (or vegetable shortening) has been used to refer as hydrogenated vegetable oil exclusively. Being solid in room temperature, vegetable shortenings are quite similar to lard. Having higher smoke point than butter and margarine and with less water content, both lard and shortening are great for baking and frying and yielding extra crispy and crumbly food. This means that lard and shortening can make food very delicious! Yup! What are the concerns of using shortening for cooking / baking? The Australian Copha brand shortening contain 100% fat which 98% is saturated and so using Copha for my baking is a big NO NO NO for me! Some vegetable shortening made with partially hydrogenated vegetable oils contain trans fats which are by-products of partial hydrogenation. Trans fats are known to link to a list of adverse health effects such as heart diseases. Using a good shortening being trans fat free is equally important. For food that really needs shortening, I was using Solite creaming shortening originally. Unlike, Copha, Solite creaming shortening contains 52% saturated fat but has 0.8% trans fat. As Solite shortening can be easily purchased in my local area, it seems to be the best easily available option that I can use before. Now knowing that Crisco shortening contains 25% saturated and trans fat free, I think my current choice is obvious! Despite said that, I have to emphasize that I'm NOT advertising for Crisco. 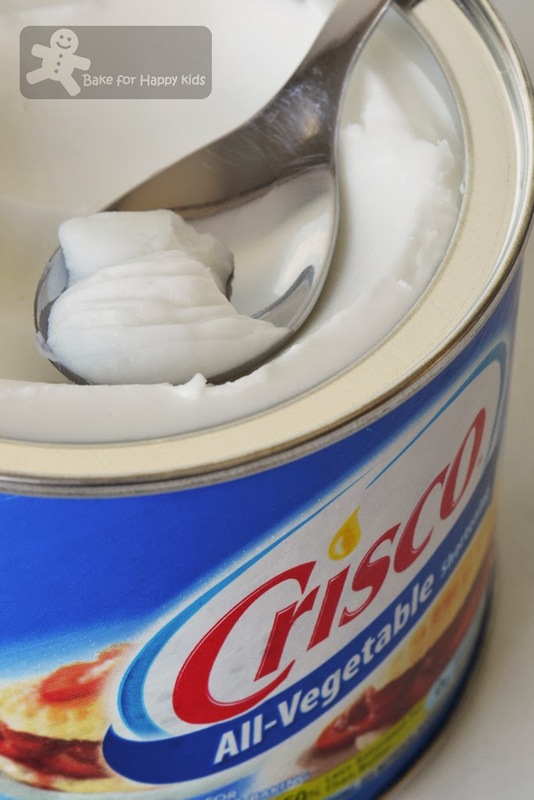 Buying a pack of Crisco shortening from shops in Australia can be a challenging task for me and so I had to buy it online. Besides shortening, the use of Hong Kong flour and double acting baking powder are equally important to make these bao so white and fluffy. 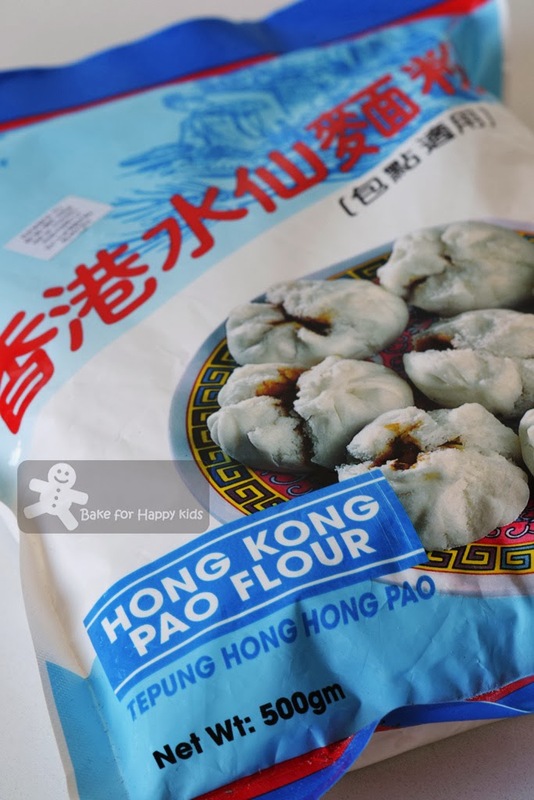 However, if Hong Kong flour and double acting baking powder are unavailable, using any low protein bleached flour and normal baking wouldn't be detrimental. Sadly for me, Hong Kong flour can be out of stock for a long time with no valid reason in Melbourne. So, don't be upset if you can't find these ingredients as I can totally understand your frustration here! 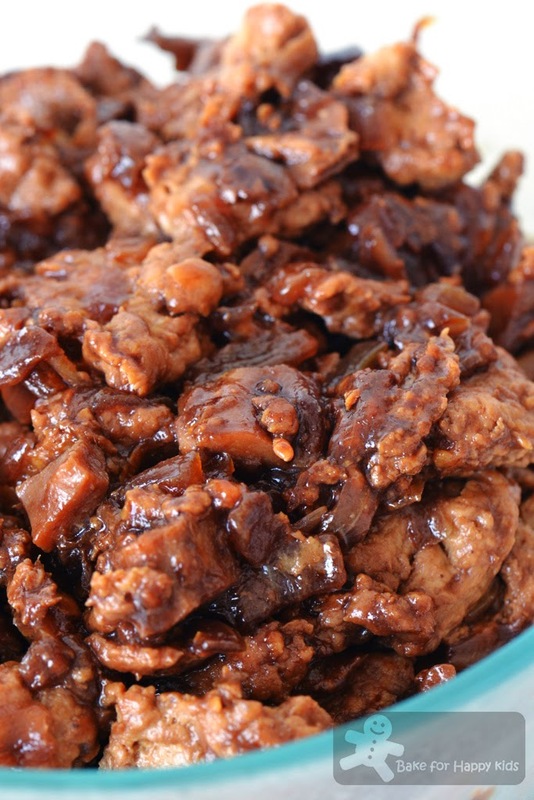 For my char siu bao filling, I like to have a mixture of char siu with mince. For a smooth and silky mince, I like to mix in a small amount of cornflour and oil into the mince (either pork or chicken) before cooking it. For a saucey finish, I like to add a mixture of water and cornflour in the last step of cooking and this will make the sauce thick and glossy. For a healthier option, I have used homemade chicken char siu and chicken mince to cook my char siu bao filling and I reckon this filling is as tender as what we are enjoying in most dim sum / yum cha restaurants. My chicken Char Siu Bao made with a really good steamed bun recipe. (1) Add a small amount of these into mince before cooking. (2) Cook onion, garlic and mince with these seasonings. (3) Add these homemade chicken char siu and thicken the sauce finally. I'm ready to fill the bao with char siu filling. This is how I shaped my bao... Hope that it is correct! Thanks little birdie! This char siu bao is really really really good. Isn't it? 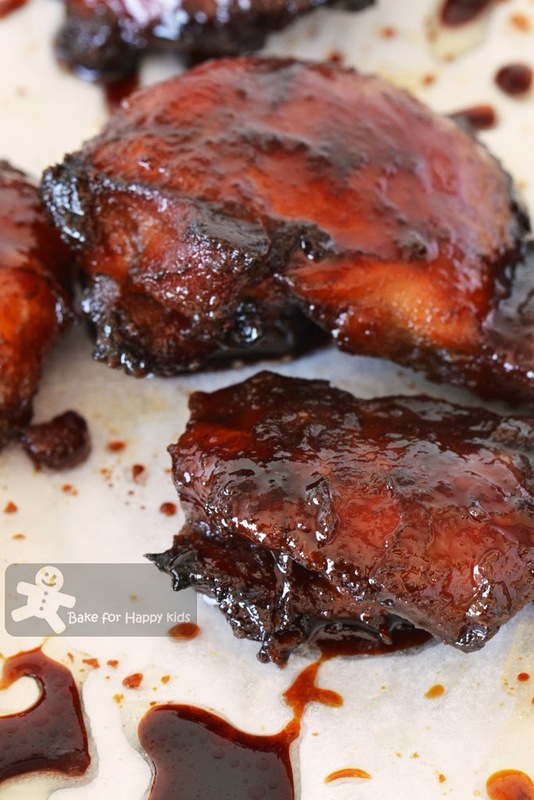 Now, here are the recipes that I have used to make these chicken char siu bao. Ingredients A: Add cornflour and oil into mince and combine all thoroughly. Ingredients B: Heat 4 tbsp of oil in frying pan with medium high heat. Fry garlic and onion until slightly browned and fragrant. Ingredients C: Combine all together. Add mince and the combined ingredients C into the browned garlic and onion. Continue to cook with stirring until the mince is cooked. Ingredient D: Add char siu into the mince. Cook for about 1-2 mins. Keep stirring while cooking. 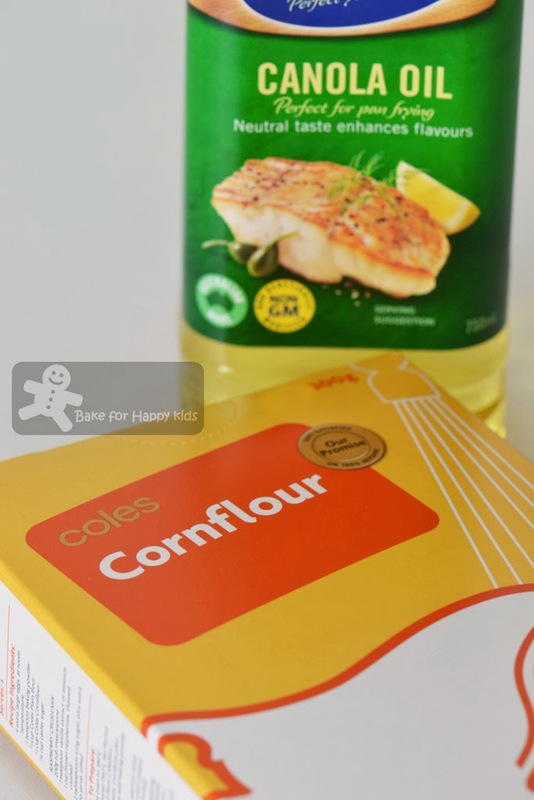 Ingredients E: Combine cornflour with water. Make sure that the cornflour mixture is uniformly mixed before pouring into the cooking mince to make the filling thick and saucy. Once the sauce has thickened, turn off the heat. Set aside to allow filling to cool completely. Store in fridge until ready to use. Place all ingredients in the breadmaker, adding yeast and shortening last. Switch the breadmaker on with "dough” setting and allow the ingredients to knead and prove for 1 1/2 hr. If breadmaker is not available and like what Cheah (No-Frills Recipes) did, mix dried yeast in 100ml lukewarm water. Add in 130g flour, mix well with yeast mixture. Roughly form into a ball of dough and set aside for 15 mins. Mix the rest of the flour with all other ingredients and knead the dough until smooth and not sticky. Cover dough with a damp cloth and let it rest in a warm place for about 1 1/2 hr or until double in size. When the dough is ready, divide into 16-20 portions depending on the size of the bao that you want. Shape each portion into balls with smooth surfaces and allow the dough to rest for 10 mins. Flatten each dough with your hands, and place 1 to 1 1/2 tablespoonful of filling in the centre of the dough. Pleat the sides. Pull the pleats together and seal. 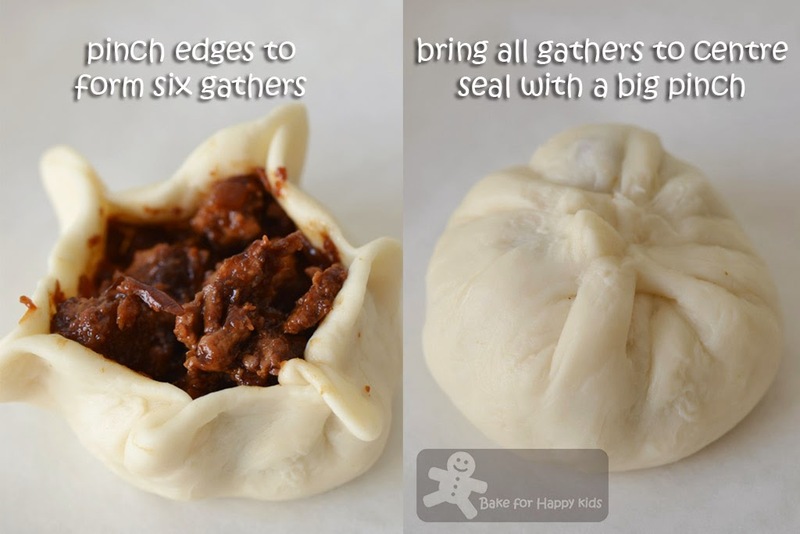 Place each bao on a small piece of baking paper with its pleats side up. Rest the bao in warm mist for 15 mins. Meanwhile, set water to boil in a steamer. Steam baos for about 15-25 mins until done. 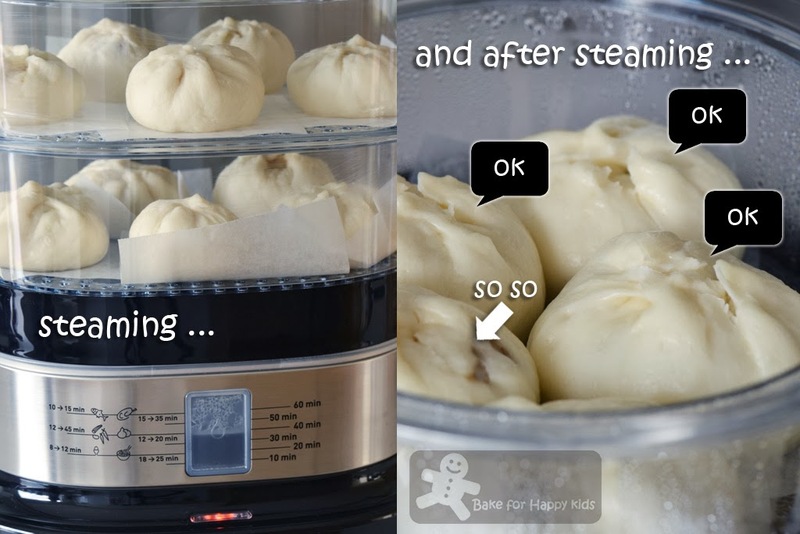 The steam timing varies if you have smaller or larger bao or multiple layers of baos to steam. For mine, the layer that is closest to the direct steam take 15 mins to cook. Serve immediately and serve them warm. Note: Using these recipes, I have made 16 large char siu baos and had about 4 portions of fillings as leftover. Ahhh, so today is the pau with char siew chicken post, see I knew it, hehe.. Looks very nice, I can have 10 paus at one go! 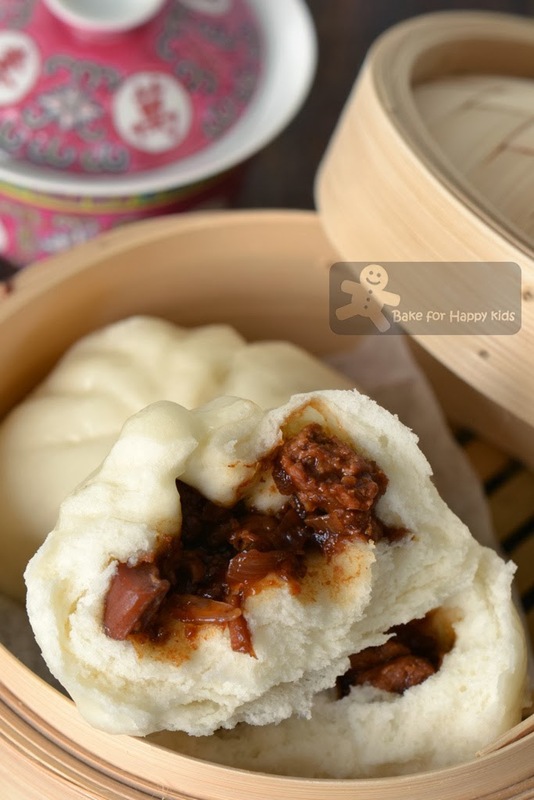 The siew pau in the photos really look so fluffy and mouth-watering. Thumbs up to you. Zoe,yr Chicken Char Siu Bao look soooo yummy!!! 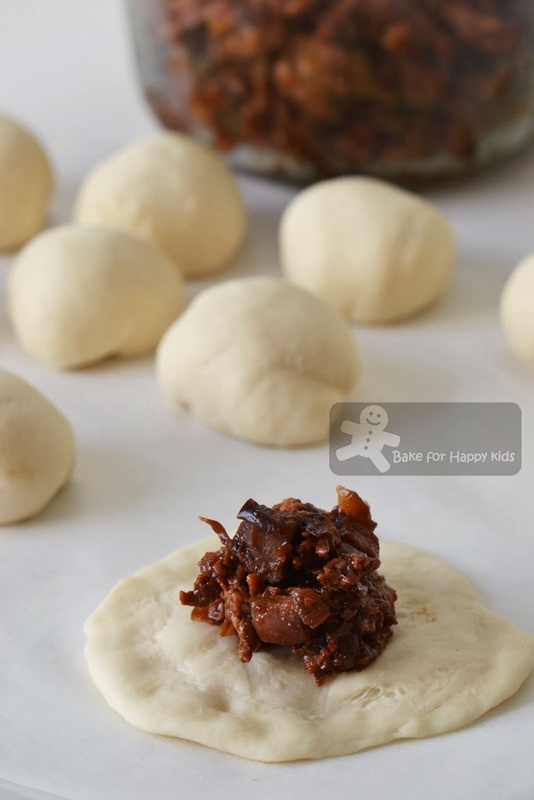 I've been eyeing several bao recipes including this one from Cheah which I found via Sonia's , I'll try this recipe first as it is highly recommended . l Crisco is hard to find in OZ ? I rendered a batch of leaf lard last time so no shortening for me hee hee Love those gorgeous baos , Zoe ! Ha ha ha. That so-so one looks great to me. This is my favorite kind of dim-sum. 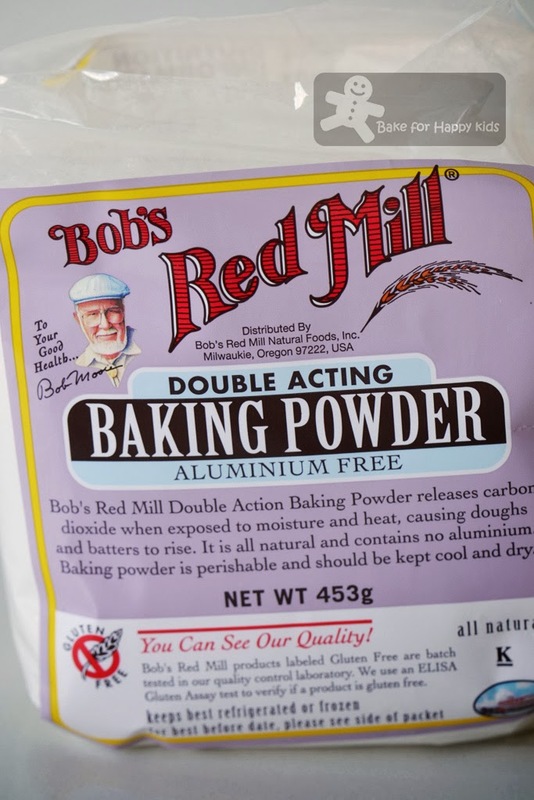 I met Bob (of Red Mill), when my friend and I had lunch some time ago at his shop (the Red Mill factory is near by). He came to our table and talked to us. Very friendly and nice fellow. Yum, I miss bao so much, this looks delicious!